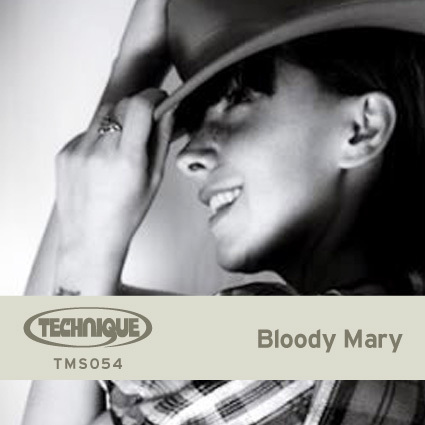 Already a musical staple in the house and techno scene for over a decade, Bloody Mary has traveled all over the world rocking festivals and clubs as an international artist. Bringing her exceptional music taste and elegant personality to the stage of festivals such as WMC, Movement, ADE and Sonar. Her travels have also seen her grace the decks of world renowned clubs like Fabric London, Space Ibiza, Panoramabar Berlin, Rex Club Paris and many more. One thing we can expect from her in the future is exquisite good taste and consistency as an artist, DJ, and label owner. Her DJ sets have captured the hearts of clubbers, both pioneer and veteran alike. Bass-laden, rhythmic, dynamic selection, for her its all about the groove and the vibe, she blends easily between tracks taking you on a journey but always bringing it to the point, working the crowd effortlessly…. 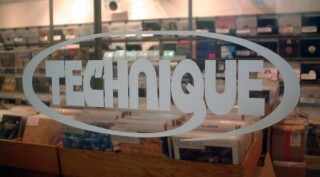 Soiling her roots in London, Anthea began her journey as a fixture for two of the most infamous record stores there; Blackmarket and Phonica Records. There, she developed a refined palate for music whilst working tirelessly to become one of most sought after female DJ’s in London. Known for her infectious energy, she naturally caught the attention of several producers on the rise. Her instant studio chemistry with them lead to several stand-out hits including: ‘Option One’ with Guti, “The Playmaker” with long time cohort Alex Celler, and several successful collaborations with Werner Niedermeir, (otherwise known as JC Freaks) and more recently Daze Maxim. With an impressive list of accolades, it’s no wonder she earned positions on labels such as: Freak N’ Chic, All Inn, One Records, Desolat, and Apollonia. After raising her profile like never before, Anthea went on to become a frequent guest of Loco Dice’s Used & Abused Party, Carl Cox’s, “The Party Unites,” and several other successful parties throughout Ibiza including Zoo Project, where she met long-term label partner, Dana Ruh. After several chance encounters, their friendship blossomed and the two discovered they shared many interests, convincing Ruh in 2011 to invite Anthea to Berlin to curate the music, run and re-launch the Brouqade label with her and other label head Ann M Cazal. Since then, Anthea has unearthed some of the finest underground talent, resulting with the label having several chart-topping releases and quote “that simply must have record!” that dj’s want in their bag, as well as now enjoying consistent summer label nights at the renowned techno establishment, Club Der Visionaere. Fast forwarding to present day, Anthea has geared her focus towards creating, not imitating. With several releases planned for late 2015, she’s shifted her focus to balancing studio time with an ever-growing tour schedule. From Budapest to Barcelona, her upcoming gig roster boasts an impressive list of dates including an upcoming tour in Japan and Audiofly’s ‘Flying Circus’ events including the Off Sonar event in 2015. Wherever the party leads her, Anthea’s warmth and positive energy remain constant; two noticeable qualities that have laid the foundation for what can only be described as a lasting future.